PLEASE NOTE: The Children's Theater Workshop has reached its capacity, and registration is closed. Please check back to see if a waiting list will be created. Thank you very much for your interest. The Lamoille County Players is proud to announce the return of the Children’s Theater Workshop, which provides an opportunity for children between the ages of 9-14 to participate in a theatrical production. This year, the CTW will be a two week, ten-day workshop, July 31-Aug 4 and Aug 7-11 (Mon-Fri, both weeks). It is designed to introduce children to theater, cultivate individual talents, and afford those with varied experience the opportunity for continued growth and personal challenge. During the course of the two-week camp, participants will collaborate on all aspects of theater production and performance. 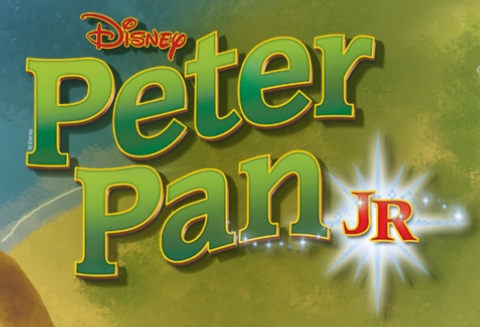 The workshop will conclude with a full performance of Peter Pan, Jr. on Friday Aug 11 at 7:00PM. The CTW will take place in Hyde Park village, at the historic Hyde Park Opera House, from 9:00 am to 3:00 pm each day. The workshop schedule will address many areas of theater: not only auditioning for parts (and contending with the casting choices that are made!) and rehearsing scenes, songs and dances, but also costuming, makeup, sets, props, and more. All activities will ultimately be working toward the performance on August 11th. Each child should bring their own bag lunch and beverage each day as well as a beach towel. Children should wear comfortable clothes that allow them to sit, lay and roll on the floor, as well as socks, tennis shoes and any dance shoes they may have that will not leave scuff marks. Everything should be able to get dirty, and never hinder movement or imagination. Each child should also bring a 3-ring binder and several pencils each day, and all items should be marked with the child’s name. The co-directors of this year’s workshop are Dana LaClair and Taryn Colby. For the past six years, Ms. LaClair has taught band, chorus, strings and general music at Bakersfield Elementary Middle School. She has directed children’s theater workshops at River Arts in Morrisville and also music directed Honk! at People’s Academy. Currently, Ms. LaClair is the choral and general music teacher at Stowe Elementary School, where they are in the rehearsal process for our upcoming 5th grade musical, "The Music Man." Ms. LaClair says, "Musical theatre has always been a passion of mine. I grew up in New Jersey and my grandmother would often take me to see Broadway shows for Christmas and birthday presents. Right after college, I was in LCP’s production of The Wizard of Oz. After that, I took a hiatus from performing to focus on my teaching career. Itching to be back on the stage, I was Humpty Dumpty, a Duloc Dancer, one of the Three Blind Mice and a skeleton in STG’s production of 'Shrek the Musical.' Last summer, I had the privilege to perform in one of my dream roles as Princess Winifred in 'Once Upon a Mattress' at LCP. This summer, you can see me singing and dancing in the ensemble for STG’s production of 'The Addams Family.'" Taryn Colby recently graduated from Johnson State College with a Bachelor’s Degree in Interdisciplinary Studies where she studied Dance, Education, and Sociology. She was the choreographer for “Curtains” at LCP in 2015 and is now choreographing “Chicago” for the Stowe Theater Guild, which opens in June. While at JSC, she danced in “Grease” and was very involved with the Dance Club all four years. She was elected Vice President her junior year and became President by senior year. Taryn completed student teaching hours in local dance studios as well as at Johnson Elementary School and Lamoille Union High School in order to receive her Dance Educator’s License for the state of Vermont. She now works at Jay Peak as a Childcare Supervisor and Lead Teacher, coaches the Enosburg Falls High School Dance Team, teaches at Ballet Wolcott and Youth Jazz classes at the Montgomery Center for the Arts. Taryn is thrilled to be co-directing the Children’s Theater Workshop this summer and is delighted to be working with LCP for another summer! Based on the Disney film and J.M. Barrie's enchanting play, Disney's Peter Pan JR. is a modern version of the timeless tale about a boy who wouldn't grow up! The score includes new arrangements of classic Disney songs and a story featuring one rousing adventure after another.